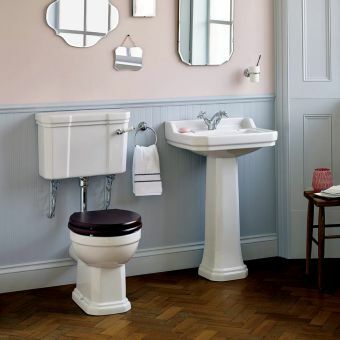 With a keen eye on current trends, the traditional approach to bathrooms has never been stronger. 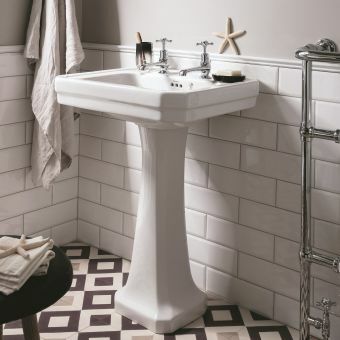 The Victorian and Edwardian period lends itself to a rich variety of inspiring designs and the Bayswater Porchester Wash Basin is a case in point. 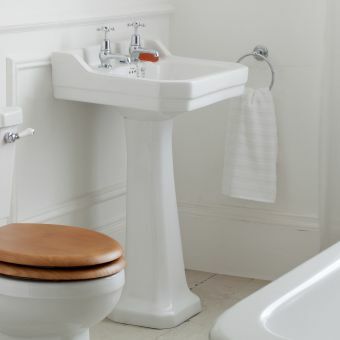 With a large curved front and a functional ornate wrap-around splashback, it is practical and provides you with a consistent, harmonious bathroom style. 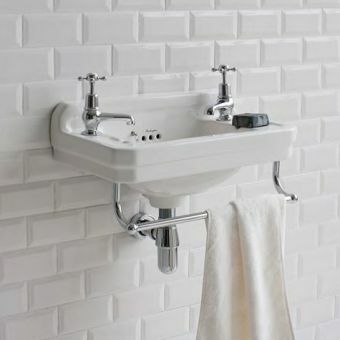 Giving you a choice of 500 or 600mm widths, it has the option to include 1 or 2 tap holes so you can add a modern mixer style or go for the more traditional twin tap approach. 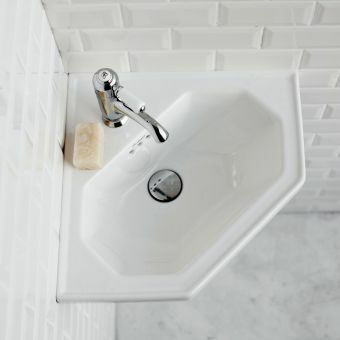 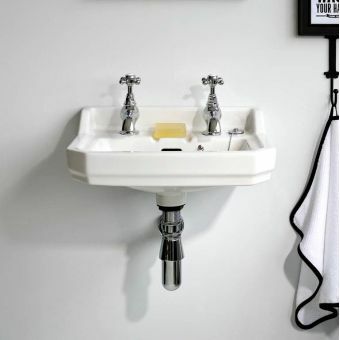 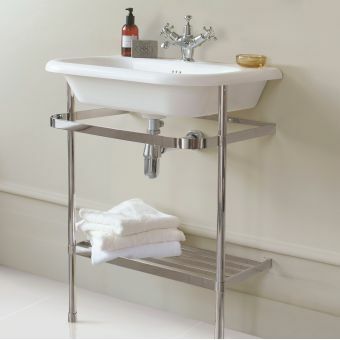 The basin can be hung directly from the wall with a chrome trap on show, or you can adopt the pedestal look which covers up all plumbing and unsightly pipework leaving you with a neat and charming appearance. 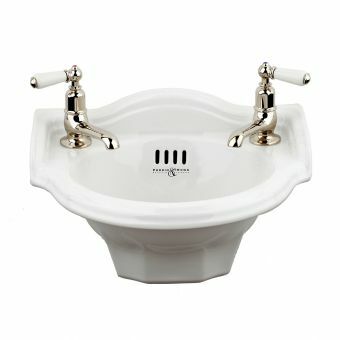 Opt for this charismatic basin set and you can achieve the Victorian style you crave.